When the time comes to apply your favorite lip gloss, you want to feel fun, fresh, and healthy. For many women, wearing gloss adds the final touch to elegant and relaxed looks. Lip gloss is made to accentuate your features without overpowering the rest of your makeup. But what happens when your favorite gloss begins damaging your lips? Choosing the right natural lip gloss can change the way you think about makeup— and the way you complete your look. Dozens of organic, mineral-focused makeup companies exist to provide a stunning (and safe) way to look at skincare. Gone are the days when makeup was designed for looks and nothing more. Now, makeup can make your skin healthier while improving your confidence on a day-to-day basis. Natural lip gloss can soothe your dry or chapped lips. It can also protect your mouth from harsh temperatures or tissue irritation. Without chemicals, preservatives, or synthetic ingredients, these glosses pose no threat to yourself or the environment around you. Experience chemical and cruelty free beauty by focusing your attention on a brand that cares. Unnatural makeup often includes ingredients that were tested on animals, or ingredients that can hurt the environment. To avoid contributing to a global problem, consider using cost-conscious, healthy choices like beeswax and all-natural lip balm or gloss. Natural lip gloss carries a number of health benefits, including vitamins and antioxidants that can keep you healthy and happy. Your lips will feel softer, sun exposure can be repaired, and a barrier is created that will keep your mouth from being easily damaged in the future. Indeed, there are few, if any, logical reasons not to choose a natural gloss. Whether you intend to wear lip gloss on a daily basis or for special occasions, these four leading brands will help improve your skincare. 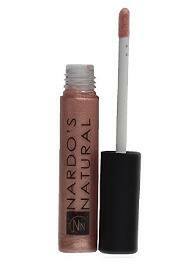 We suggest trying Nardo’s Natural Coconut Oil Lip Gloss. It uses Shea butter, coconut oil, castor oil, organic sunflower oil, organic beeswax, organic carnauba wax, and organic cocoa butter to enhance and highlight the beauty of your lips. The gloss comes in several shades, including primrose, coral shine, clear, ruby red, and pink rose. No matter what shade you choose, the all-natural oils within the gloss will moisturize your lips while adding a long-lasting shine without the stickiness of non-organic lip glosses. Rather than experiencing irritation or frustration, the state of your lips will improve with each use. For a lip gloss that changes the game, consider buying the Nardo’s Natural brand. The Pacifica company is known as one of the most innovative natural brands on the market. We recommend trying Pacifica’s Enlightened Gloss Mineral Lip Shine, a vegan-friendly and cruelty-free gloss that comes in shades like opal, beach kiss, and nudist. The shine is infused with coconut oil and antioxidants that will hydrate and support your lips. 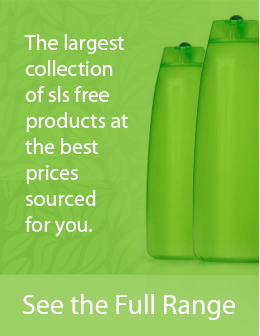 You won’t find any parabens, phthalates, or unnatural chemicals. For a makeup experience like nothing else, consider trying a Pacifica brand lip gloss today. You’ll see an improvement in the state of your lips, right away! INIKA is an Australian-owned company that began in Sydney in 2006. After eleven years, INIKA has garnered global recognition for its natural, organic makeup. We recommend INIKA’s Certified Organic Lip Glaze, an all-natural gloss, for your makeup needs. The glaze is crafted from vanilla oil and vitamin E. It offers an enticing vanilla flavor, certified carnauba wax, and a high shine gloss that will capture the attention of anyone coming your way. INIKA boasts eco-conscious beauty, with cruelty-free and vegan ingredients. If you want a guilt-free lip gloss that draws attention while improving the comfort of your lips, we suggest trying this glaze. It comes in eleven shades, including mocha, coral, cherry, berry, blossom, watermelon, and hazelnut. 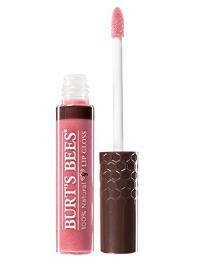 Many women looking for comfortable, natural beauty come to Burt’s Bees for lip products. These products offer intense color and lip care at the same time. Burt’s Bees follows a code that is “good for you, good for us, and good for all.” We suggest trying Burt’s Bees moisturizing lip gloss. 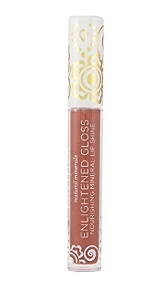 This gloss comes in twelve shades, including ocean sunrise, evening glow, autumn haze, nearly dusk, and rosy dawn. The gloss delivers rich color with natural oils that will leave your lips both soft and shiny. Even if you avoid using lip gloss on a daily basis, using a natural gloss for special occasions can help improve the health and comfort of your lips. You deserve to feel refreshed and regenerated. Nardo’s Natural, Pacifica, INIKA, and Burt’s Bees all exist to accomplish the same goal: to create cost-conscious, healthy, and efficient makeup products for users around the world. Take part in the movement today.